Port Elizabeth is part of Nelson Mandela Bay and is popular for its stunning swimming beaches. In fact, every summer, Port Elizabeths guesthouses and hotels are brimming with visitors from all over the country, who have come to indulge in the pretty surrounds and warm waters of the glittering Indian Ocean. Still, it has plenty more to offer than long, lazy days spent on the pristine white sands. 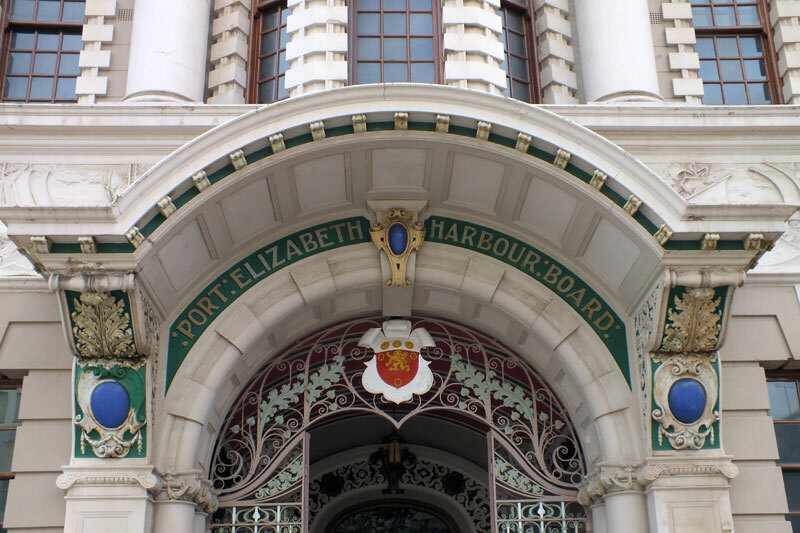 The Port Elizaberh Historical Tour on offer by Umzantsi Afrika Tours is made successful by the experience, knowledge and passion of the tour guides, Lyn and Peter Haller. Lyn has been qualified through THETA (SATOUR) and is a registered tour guide with a particular passion for the historical homes and buildings of the Eastern Cape. Peter is Austrian, but fluent in German, which allows him to offer a very special experience to German and Austrian visitors that would benefit more from tours being conducted in their mother tongue. Of course, he is completely fluent in English too. He is also a registered tour guide through THETA. His interests lie especially in culture, nature and fossils. Our City Tour began at the South End Museum, where a formal tour is conducted by the in-house guide that lived through the very same forced removals that he speaks about. This makes the sadness and tragedy of the situation resonate even more, and makes the joy of the original residents more real. From the museum, the tour moves to the centre of town, along what is now known as Govan Mbeki. 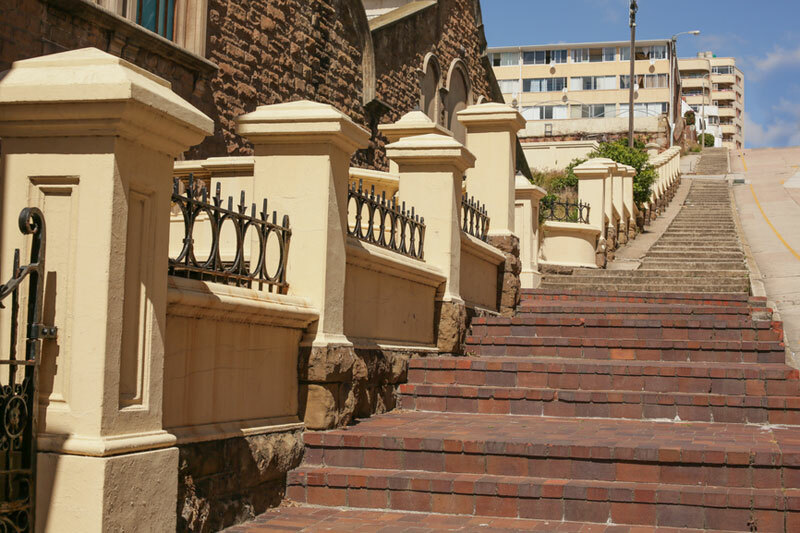 It includes the Port Elizabeth City Hall, Feathermarket Hall, campanile and Vuyisile Square, as well as what were once the Baakens Street Police Station with underground cells and the first Post Office. Portions of the city that we so often pass without a second thought come alive as you are told of their fascinating history and the culture that has been formed as a result. This history extended all the way back to before the arrival of the European colonialists, right up until our present day. 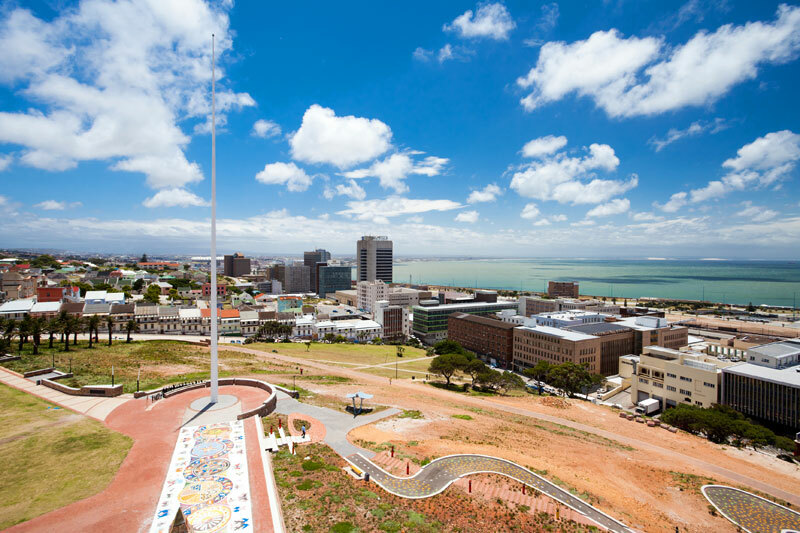 Then, onto the Pyramid and Lighthouse on the Donkin Reserve perched high above the city centre. Its original history was revealed as well as enlightening information on the many different art forms and sculptures that have been part of the Donkin’s recent make-over. This art includes impressive mosaics, metal work, graffiti and other pieces best left to interpretation. The views are simply breath-taking. Fort Frederick was next on the agenda. In addition to magnificent views of the city, the rich history of this one establishment is nothing less than astounding. Please note that this was merely the layout of our half-day tour. Lyn and Peter are flexible, and are happy to tailor their tours to suit the visitors. Some tours include a visit to the famous No. 7 Castle Hill (a museum that was once one of the very first houses in the area) and to the Wezandla Arts and Crafts centre. Other tours on offer from Umzantsi include (but are not limited to): township tours, luxury safaris all over South Africa, city art tours, stargazing tours, a Bedford Garden tour, budget trips to Botswana for students, and a Karoo fossil safari.